While many people continue to believe that the present banking and stock exchange systems are necessary and unalterable, more and more are coming to the conclusion that they have passed their usefulness and must soon be replaced. Too many are suffering from the effects of unfettered greed, and yearn for greater justice and fairness in order to survive what is so glibly called ‘the current economic climate’. Before the economic collapse of 2008, at least in the developed world, there was plenty of money. People had work and houses to live in; new millionaires were born everyday. Elsewhere, of course, millions still starved and millions more went hungry, but for some there was plenty of money and life felt good. The people everywhere are sensing a change and are lending their voices to its call. They are sensing, too, their power to act, and many die to prove it. They sense that the old ways are almost over and have spent their force. They feel that there are other, better ways to live and look forward to tomorrow. Verily, the old ways are dying and hold back the race. The wheel turns and mighty Rome is falling once again. Maitreya’s fire is lit in the hearts of countless millions and they respond, eager to build a new world where justice and harmony rule. Maitreya’s promise is that this new world is on its way. Q. How many television appearances has Maitreya had to date? Q. A year and a half ago Maitreya began His open mission. Since then we have had the Gulf oil disaster, the Japanese tsunami and its continuing radioactive fallout, the Arab Spring with many getting killed or beaten horrifically, and freak weather patterns continuing to cause havoc around the world. I had hoped that Maitreya’s presence and influence would take us in a more benevolent and peaceful direction. It appears that is not the case and that His presence does not mean less upheaval. In fact, there may be more of the same and worse until a turning point is reached. Can you comment on this seeming dichotomy and at what point might we expect that turning point? Thank you for all your good work over the years. A. Naturally, given the difference between their point of evolution and experience, ordinary people and the Masters see the happenings of the world in completely different ways. We see only a sequence of isolated events and, depending on our state of mind, often see them only as threatening, unwelcome or terrifying. The Masters see the same events but also all the other events that are happening simultaneously on all planes, which we do not see because of our limited awareness. The Masters see events rising and descending through the planes. Many of the events which to us are so powerful and threatening, to the Masters’ vision wither away and disappear, while at the same time great energetic movements embodying new structures, thoughts and ideas gradually descend and manifest on the physical plane. In this way a tremendous transformation is taking place of which, for the most part, humanity has no knowledge. The questioner asks when can we expect the turning point in this process. The turning point has already begun. More and more of the ‘new’ is becoming concrete on the lower planes, less and less of the ‘garbage’ of the past is now asserting its influence. Relatively very soon we shall become aware of a ‘calming’ of the world and as humanity acts – it all depends on humanity’s action – so the leavening of the new can take place. Humanity has to see itself as a force in action not simply as hopeful onlookers to these tremendous events. As Maitreya says: “Nothing happens by itself. Man must act and implement his will.” This, humanity is beginning to do. Q. Has Mr Creme seen the interviews of Maitreya on television or did he get all the information about it from his Master? A. I have not seen them. Q. I know you are getting tired of being asked about this, but I must ask. I would like a tiny hint as to how to find Maitreya’s interviews on the internet. I have been looking for many hours online in regards to Maitreya’s US and Mexican talk shows, but to no avail. I crave hearing His wisdom and experiencing His presence. This is the only hope I have to keep me going, that the world will get better. Please sir, I am begging you. You know the comfort of contact with a wise Master, but the rest of us do not. We need this. A. I never look for any of the interviews. Maitreya is incognito deliberately. He does not wish to be recognized as ‘Maitreya’. He is only interested in whether you want for the world what He is advocating – sharing, justice and peace are His priorities. Make them yours (if they are not already) and bring Maitreya closer to you. Q. Does it make any sense to search for Maitreya’s television interviews on YouTube? Q. How close are we to the Day of Declaration? A. Probably only Maitreya knows accurately the date of the Day of Declaration. It does not have a set time but depends on humanity’s reaction to the various stimuli from Hierarchy. But I think it will occur sooner than most people would imagine. Q. A recent demonstration and protest by Coptic Christians in Cairo, Egypt, was brutally suppressed by the army in power. Steps towards democracy seem to be slow and resisted by the government. Will true democracy really come to pass in Egypt? A. Yes indeed, but it will take more time. The forces against democracy – the army in power and the right-wing financial interests – are still very powerful. The overthrowing of Mubarak was itself a miracle that has reverberated throughout the Middle East and is inspiring the people’s voice throughout the world, including the US. Q. Do you think the new populist movement in the USA, which started as ‘OccupyWallStreet’ and has now spread rapidly to other cities, is a viable movement? A. Yes. It is the beginning of the USA’s transformation. Q. Is the ‘Occupy’ movement – which is springing up around the US now in response to the OccupyWallStreet demonstration – the kind of expression of people power that Maitreya is looking to galvanize and spread around the world? A. It is part of it. At least in the beginning different groups in different countries will use different methods of bringing it about. Q. (1) To what extent are the Occupy Wall Street protesters in New York City, and elsewhere in the US, being inspired (consciously or not) by Maitreya’s energies? (2) Has Maitreya visited the protesters in New York in a physical form, as he did in Tahrir Square, to inspire and teach them? A. (1) 30 per cent. (2) No. Q. Should people power try to bring down the economic structure of its own country? A. People power is not about ‘bringing down’ the economic structure of any particular country, it is about the winning of freedom, justice and peace for the people of that country. The ultimate aim should always be kept in mind, which is the establishment of freedom, justice and peace throughout the world. It should be obvious that a radical reorganization of the world’s economic structures must take place for this to be achieved. Sharing, you will find, is the paramount mechanism for this achievement. Q. Do even the most dedicated activists working to change the current economic, political and social systems, and those working to save the environment really have any practical, feasible answers? A. Yes, very much so. Sharing and justice that will transform life for everybody and guarantee the end of war is the aim of everybody whether stated or not. Q. It is becoming clearer every day that politicians don’t know what to do and have no answers to the growing world crisis. Are there any politicians or leaders in the world at present who have any inkling of how to proceed and how to tackle the growing problems? A. Yes, but they are not yet in office. Q. How will countries which are struggling financially now be able to provide for their populations as the world’s economic system collapses? Millions are already hungry – now more and more people in the affluent west are also beginning to feel the pinch. A. The world has to see that this is inevitable. It is the ‘wilderness experience’. Nothing will radically change unless people see this and look for an alternative way of living: that is, adopting sharing and thus justice and peace. Q. I am 23 and from Egypt. I’ve followed you for several years now and I can’t wait for the change to come! I see the changes in form of revolutions. (1) But I ask myself when does the change come in the form of a miracle. Every spiritual site I go to everybody who channels is saying it is near, a lot is changing, but my question is, when do believers (or someone like me), notice that it’s at the beginning – every normal person should notice that this is not normal. (2) As I am a Muslim, I am interested if Mohammed (pbuh) is also like the Master Jesus on earth right now as a Master who is going to help us? A. (1) You look for signs that things are happening now. Do you not see what is happening throughout the Middle East and further afield? Do you not remember, in Egypt, Cairo, Tahrir Square, only a few months ago something which is beginning to happen more and more worldwide? Maitreya Himself spent many hours in that square over three weeks inspiring and safe-guarding the people of all religions, teaching them to protect and look after each other as an inspiration to the world. It is the people everywhere, raising their voices, who will change, and are changing the world, even now. (2) Yes. Mohammed received His inspiration and teaching from Jesus. They are brothers. Q. The final demise of this economic system is painfully slow due, of course, to ongoing manipulation such as bailouts, debt ceiling increases and slash and burn policies to public services and welfare systems etc. Will there come a time, very soon, when the markets will finally bottom out and this slow death finally end as the global markets and economy burn into the ground? A. Yes. You might call this slow but actually seen dispassionately it is remarkably fast. Q. What is your view of Palestinian efforts to gain greater official recognition at the United Nations? Do you think these efforts are, or will be, helpful to their cause? A. It reminds the world of their presence and hardship, probably not more than that at the moment. As I have said before it will take Maitreya to resolve the Palestinian/Israeli situation. At present the Israelis have no intention of a solution which would provide justice to the Palestinians. Share International and Share Nederland have been established in the same property in Amsterdam for about 25 years. A little more than a year ago the owner (a large company) informed us that they wanted us to move out; re-building would begin within so many months. To cut a long story short we have been looking for a new suitable place since then. In a series of very fast moving events we were first ‘given a hint’ and ‘led’ or helped to spot a suitable place. Everything happened very quickly and easily; within days we had seen it, phoned to make an appointment, seen the place and felt that it was the right place for us. It is excellent and couldn’t be better for accessibility by public transport, although much work still needs to be done to make it ready and presentable. One of our co-workers said on his first visit: “It feels as if it has already been blessed!” Soon after we had made our first contact with the estate agent and seen it, we wanted to show it to another group member. While we were waiting to go in, just a few metres away from “the new Information Centre”, a man of about 60 years wearing a blue and white cap and carrying a blue bag over his shoulder suddenly came up to us. He came very close and started taking part in our conversation. We had been saying that it was a nice street with lovely buildings and a nice feel to it; even as he walked up to us he chipped in to say that it is indeed a very nice street and a very nice neighbourhood. Very pleasant. He said he lived not far from there – just around the corner, in fact. That was the whole exchange, as we remember it. But the brief conversation confirmed for us that this could well be a good place for a new Information Centre for the Emergence work. Was the neighbourly man a Master? If so, could you please say who it was? M.L., J.K., F.E., The Netherlands. I was walking in a street in the east region of the city of São Paulo on the night of 7 August 2011. I had dinner in a restaurant, and I was going to the subway to return home. On the way, just after I had left the restaurant, I saw a little boy (maybe 10 years old) selling bracelets in the street. He asked me if I wanted to buy one for my girlfriend. I continued walking, and he asked if I wanted to buy it for my mother. I thought that it could be a good gift to give to my mother. He showed me the bracelets. He said (he looked like a very happy boy) that it was himself who had made the bracelets. I chose one that I thought was good. He said that it took him four hours to make that bracelet, that it was very well made, and that he thinks that only him and three or four other people in Brazil could make that bracelet the way he did (it was indeed a very well made bracelet). I bought it from him. He asked me if I wanted a bag to put it. I said “No, thanks”. He said that he could get one from his mother, who was also selling bracelets and that she had some men’s bracelets too if I wanted to take a look. I refused the offer, but nevertheless thanked him, and continued on my way to the subway station. For me, it was a very strange meeting, because after, I spent a lot of time thinking about the situation of many poor people in Brazil and in the world; the many children that live on the streets, and about that little boy that was helping his mother, and how little our problems are compared to the problems of these people. I really thought a lot about this, and mainly about that boy: where he lived, how was his life with his mother, and other things. Could your Master say if the little boy was someone special, or was he just a normal boy that made me think about a lot of things? During the break at the 2011 Emergence Conference in Barcelona I was feeling unwell and also I was worried on that special day. I said hello to some friends and sat alone at the end of the conference room. I felt a little astonished but I sat near a man that maybe was 60 or 63 years old, with fair hair and a short beard, wearing brown clothes. On the next row were the rest. The man immediately in front of me was younger, maybe 45 years old, very tall and strong, with long black hair in a ponytail and a pale face, he looked very kind; the other men were middle aged, near 60; they didn’t speak but listened very respectfully. The man near me talked about the conference; in his opinion it was so interesting and he liked so much the special work that Mr Creme was doing; all the men thought the same. I responded that we are living during great happenings for all humanity. They listened to me very interested. There was a nice atmosphere indeed. Again the man next to me said that soon we will live in the 5th dimension and I responded to him seriously that man will be inspired by the Masters, of course, but we, humanity, must work hard and with our own effort to change this old world for a new. As a result of that, man will evolve very fast. “This is what we want to hear,” he said. He and the younger man said that soon they will come back. I said goodbye to them and sat in another place. A little time after I felt so well and happy. Could you tell me if they were Masters? On Thursday 11 February 2010, in Paris, around 7pm, I was waiting at a crosswalk for the flow of cars to stop when an old man wearing an ushanka (Russian fur cap) spoke to me saying it was not good to go bare-headed in this cold, especially with a short hair like mine. I agreed to the sensible remark. We went on walking together and chatting. He asked me what I was doing. I said I was studying political sciences and the conversation came to a criticism of (so-called) democracy. We both agreed that real democracy does not exist and that too big a role is given to the police to manage social life. We had more of a debate about the means to put in place a good democracy. We mentioned the possibility of a government of wise men but we could not decide what would be a good way to select them. The interesting chat went on for a quarter of an hour. The old man said he was a former university teacher, and he asked me where I was going. I answered I was on my way to a conference entitled ‘Buddha and Socrates, the way to happiness’. He then suggested the conference was not worth attending, it was better to attempt to read the words of these two wise men. He added that it was important to be in the company of wise people rather than ignoramuses. We left and I went nevertheless to the conference, which proved him right, as I left a little disappointed. This unexpected meeting impressed me by the relevance and the truth of the words of the old man. Was he a Master or simply a cultivated and thoughtful ordinary man? I was walking with friends along the Cotswold Way on Friday 3 June 2011. We had a drink in the bar of the pub we were staying at. When we came out at about 11pm the sky was clear and full of stars. We all noticed a bright star that was different from the rest, low down in the sky in a south-southeasterly direction. It appeared to be twinkling white, red and blue. Was this the ‘star’? On 27 May 2011 we had a Share International information stand at the Life-Joy fair in Munich. At 4.20pm two people came to us – a man, middle-aged, dark skin, and a small, older woman, wearing an orange-coloured jacket, a pair of glasses, grey hair and carrying walking sticks. After she looked at one of the UFO posters, she asked us what their spiritual mission was. We explained it to her and that there is also a connection with the appearance of Maitreya. After that the man asked whether there is any proof that Maitreya is already here. We told him about the list of Maitreya’s appearances, the different miracles and the photograph of Nairobi where many people witnessed Him appear out of the blue and later disappear. During this conversation he told us that he is a Hindu and that Buddha was the 9th incarnation of the Hindu-godhead Vishnu, and Maitreya was the 10th. We even spoke about a picture that shows the rider on the white horse at Tahrir Square in Cairo, the Kalki Avatar, who comes for all of humanity, regardless of religion or origin. He was well informed about it all and said that he is very happy about the coming of the Kalki Avatar. Then we shook hands and they went on their way. We found that these people were very friendly, interested and open-minded and had extraordinary intense sparkling eyes. Could you tell us who these people were? On 11 September 2011, as I was shopping in a pharmacy, I met a spirited lady. She was standing at the corner of an aisle, holding on to a shelf with one hand and supporting herself using a metal stick with the other. Her leg was twisted, with a raised boot, making walking very difficult. I helped her find what she wanted. She was about 5 ft tall, maybe late 60s and was very well groomed. Coloured hair and perfect make-up, ready to meet the world. She had beautiful big green eyes. As we walked slowly to the bus stop, she said she worked and wrote for a theatre group and would I be interested in something like that. She said that she had written a play entitled ‘The Final’. She exuded warmth and courage and put the difficulties of life into perspective. Is it possible this charming lady was someone special? 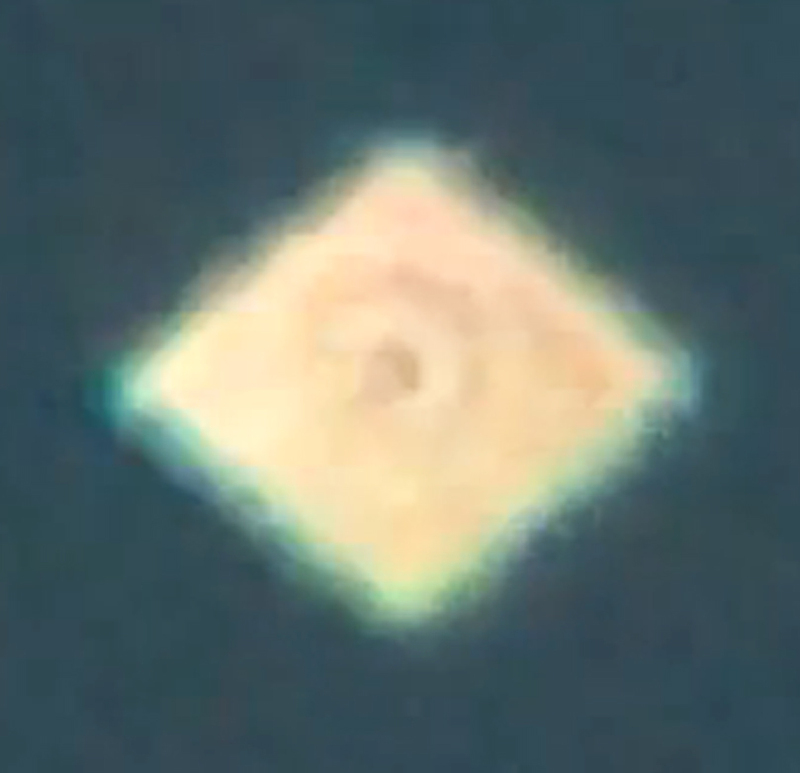 A bright “mystery object” seen across California, Colorado, Nevada and Arizona on the night of 14 September 2011 has been widely reported by local US television news stations. 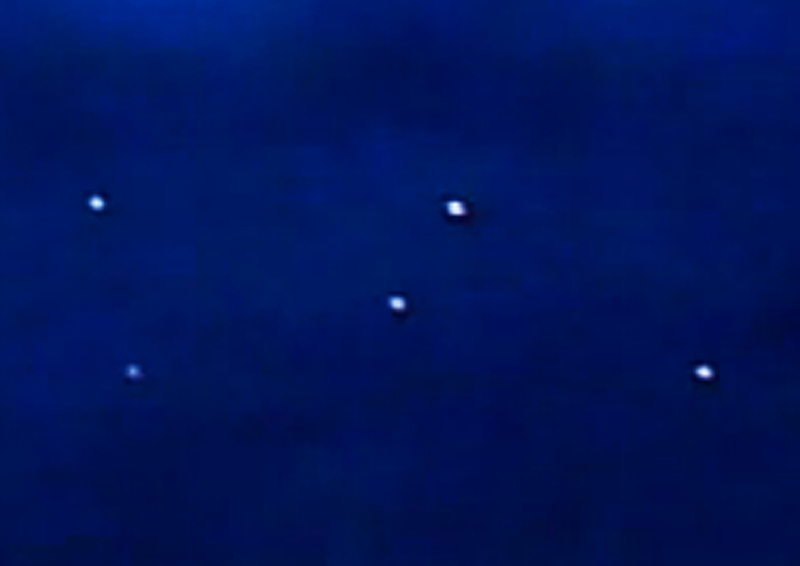 California’s KCAL9 reported that their newsroom had been flooded with emails from people who had watched a mystery object “streaking across the night sky”. The brilliant light lit up the southern California night sky, and was seen by people over a huge area, from San Diego on the coast, right across the mountains, the desert, and as far inland as Las Vegas and Phoenix. The station played a video of the object passing over Glendora, California. According to News At Ten presenter Dave Bryan, people had described it as a bright light, or like a falling star, or like a red comet with a green light around it. A resident of San Clemente, California – who was able to capture the object in High Definition – described the object as “a red comet with a green glow around it”. Kim Curto was filming at her brother’s football game in Phoenix, Arizona, when she saw “a big, like, circular light move across the sky” and managed to capture it on video. Maitreya’s ‘star’ as seen across California, Colorado, Nevada and Arizona on the night of 14 September 2011. 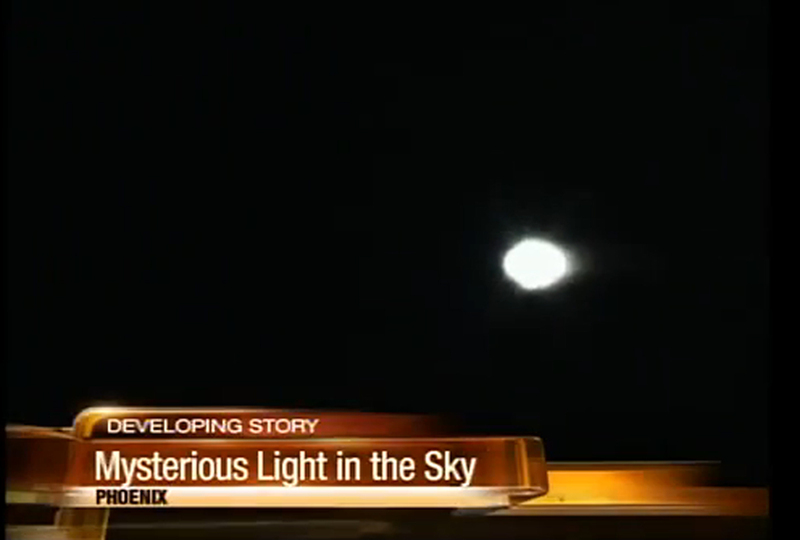 Californian station KCAL9 played a video of Maitreya’s ‘star’ over Phoenix, Arizona. 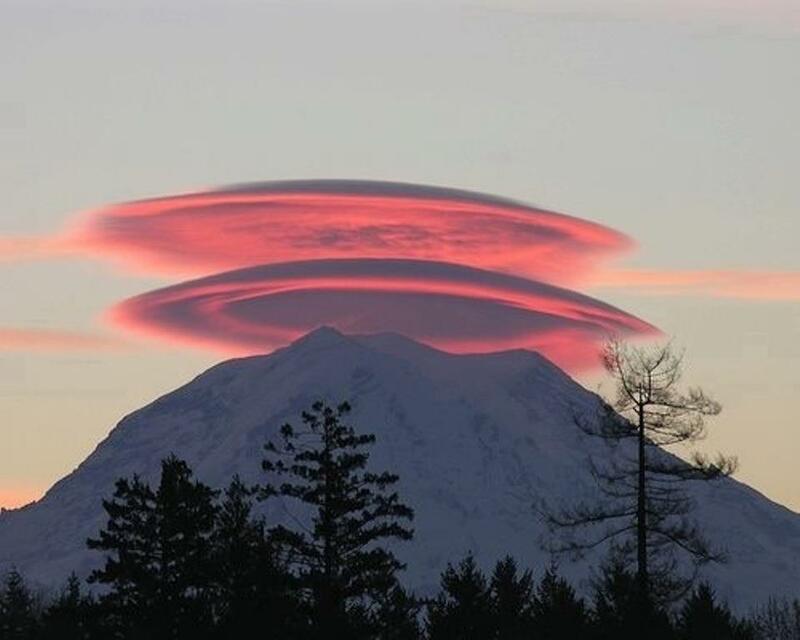 Photograph by Yoj Chase and posted on Facebook’s website on 5 October 2011, shows a huge formation over Mount Shasta, USA. Giant wheel-shaped stone structures, only visible from the air, have been found throughout the Middle East, from Syria to Saudi Arabia. Researchers are now discovering more of the structures than ever before, through the use of satellite-mapping technologies and aerial photography. 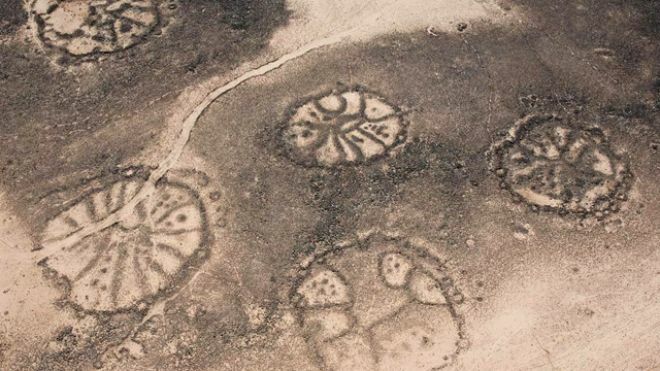 Likened to the Nazca Lines – ancient drawings seen in the deserts of southern Peru – the Middle East structures, numbering in the thousands, are believed to date back at least 2,000 years. They are often found on lava fields and range in size from 25-70 metres across. New research on the structures by David Kennedy, a professor of classics and ancient history at the University of Western Australia, will be published in the Journal of Archaeological Science. As a student, Kennedy read accounts of Royal Air Force pilots flying over the structures in the 1920s on airmail routes across Jordan. In 1927 a pilot published an account of the ruins in the journal Antiquity. He reported seeing them over “lava country” and said that they, along with other stone structures, are known to the Bedouin as the “works of the old men”. The design of the structures varies. Some are rectangular; others are circular but contain two spokes forming a bar that is often aligned with the rising and setting sun. Others have numerous spokes that do not seem to be aligned with any astronomical phenomena. Derrick Pitts, a respected US astronomer, has endorsed the book UFOs: Generals, Pilots, and Government Officials Go On the Record by journalist Leslie Kean. The book was published in August 2010 and became a New York Times bestseller. Akshaya Trust is a group of dedicated volunteers who bring food and compassion to the poor and homeless of Madurai, in Tamil Nadu, India. The founder of Akshaya Trust is Narayanan Krishnan – a university graduate with a degree in hotel management. Krishnan was on the verge of a successful business career when an experience prompted him to dedicate his life to feeding and restoring dignity to the poor of Madurai. He was one of the top 10 finalists in a group of 10,000 nominees for the 2010 Hero of the Year Award given by the international news network CNN. Jason Francis interviewed Narayanan Krishnan for Share International. Share International: What experience did you have that altered the course of your life from pursuing a successful business career to serving the needs of the poor? Narayanan Krishnan: In June 2002 while traveling on a busy road in Madurai, I saw an old man eating his own human waste. Completely shaken and oblivious to my surroundings, I jumped out of my vehicle and went to the old man. I realized he was driven by acute hunger and was not in a proper state of mind. Immediately I bought a few idlis [savory cakes] and gave them to him. As the old man ate the food at a speed I had never seen before, he held my hands, giving me a very real sensation of a powerful energy. The inner happiness and fulfillment I felt, which I had never experienced before, changed my life forever. This deeply etched, unique experience still carries a powerful force for me even now. SI: Why did you choose the word Akshaya? NK: Akshaya in Sanskrit means undecaying, imperishable. The name was chosen to emphasize that human compassion should never decay or perish, and a helping spirit must prevail forever. SI: When did you start providing meals to the hungry? NK: I started the feeding program in June 2002. For several months it continued without any support or recognition. When the public became aware of what I was doing, help gradually started coming in. Support grew by word of mouth. I felt that with the public supporting the cause, the work should be formalized. So Akshaya’s Helping in H.E.L.P. Trust was formed in June 2003 in Madurai. With CNN’s recognition in 2010, support from the US began coming in a big way. To encourage this support and to ensure a tax exemption benefit for donors, Akshaya USA was registered. Tax exemption status was obtained in October 2010. Akshaya USA co-ordinates our activities in the US, maintains contact with supporters and helps organize fund-raising events. SI: Who are the people served by Akshaya Trust? NK: We care for roadside destitute people deserted by their families. They are sick and uncared for, not mentally alert, too old and infirm to take care of themselves. Most are over 50 years of age. Some are over 75. The group consists of both men and women from different parts of India. SI: Where does Akshaya Trust obtain the food they distribute? NK: Initially, food was bought from roadside shops and distributed. From January 2003 (for reasons of economy and hygiene) I started purchasing the food fresh each day, cooking the food myself in my house, and distributing it in our van in the morning, noon and evening. As of August 2011 close to 1.8 million meals had been served. SI: How many people are homeless and hungry in Madurai? NK: In Madurai we feed about 450 people three times every day. When we started in 2002 it was about 30 people. Gradually we located more helpless people and based on availability of funds we were able to support a larger group. Currently our focus is on main roads and a few adjoining side roads. We do not cover all the roads due to various challenges. As a rough estimate about 700 to 800 people may be living on the roads of Madurai. Numbers vary. New people come in, old people move out, some people pass away. SI: Why do people in Madurai become homeless? NK: Madurai is a busy pilgrimage centre. Families burdened with members they cannot support bring them to the roads and leave them there. They normally stay wherever they are left, but sometimes they move around to nearby areas. Also, people not in a proper mental state just wander away from home. They keep moving without any purpose or knowing where they are going. In some cases, older people are forced from their home due to personal problems or family misunderstandings. And in the case of some hospitals, patients without an attendant or those who are beyond recovery and do not have monetary support are left on the roads. SI: Do you have support from volunteers and the community? NK: There is good support from volunteers and the community. In the first few months there was no support. In fact there was stiff opposition from close friends and relatives. My actions were considered abnormal. However, gradually things changed. Towards the end of 2004 the media started taking notice of my work. This support grew over the years. In 2008 national level recognition came with the Reliance CNN-IBN Real Heroes Award. Global recognition came in 2010 with CNN’s Top 10 Heroes Award. SI: Could you tell us about Akshaya Home? NK: Akshaya Home is a key element in our long-term goals. Beyond basic shelter, we want to provide a safe environment for rehabilitation. Safety is an important concern, especially for the vulnerable mentally challenged women whose lives could be so easily put in jeopardy by nefarious elements of society. Akshaya Home will be a place of peace for the abandoned elderly in their last days. Akshaya Home is now becoming a reality though the start was slow and difficult. When completed we will have 24,500 square feet of living space, including healthcare and support facilities for 100 men and 100 women. Major and ongoing funding challenges include providing general and medical equipment, as well as staffing, operating and maintaining the home. Such funding will necessitate long-term commitments and assurances so that Akshaya Home will be a long-lasting landmark for those in need. SI: How will Akshaya Home not only provide a place for the poor of Madurai to live and regular meals to eat but also help to restore dignity, a sense of belonging and meaning to people’s lives? NK: Under extreme conditions human beings lose self-esteem and feel they are sub-human. With basic nourishment – food for the physical body and love for the soul – to a great extent people tend to normalcy. For homeless people with assured security in a safe place to stay and nourishing food, we expect improved self-confidence leading to a more meaningful life. SI: What has to change in society for injustice such as poverty to be eliminated once and for all? NK: A positive change can be made only when a majority of the population understands the need for being kind to fellow human beings for the long term. People need to understand they get back what they give to the society. When we are kind and supportive to the society, we receive the same treatment. People need to properly understand this connection. We present a selection of quotations on the theme of ‘Future modes of living’ from Maitreya (Messages from Maitreya the Christ), Benjamin Creme’s Master (A Master Speaks), and Benjamin Creme’s writings. An entirely new possibility of social relationship opens up for humanity. As man stands on the threshold of the Aquarian experience, altogether new levels of awareness will manifest themselves in this coming time. This will lead to the creation of new forms through which man can express his growing sense of the interrelatedness of all things. The return of Maitreya and the Hierarchy will show men that there is a way out of their problems, and that when we take the first steps and change the direction of our political, economic and social life, we have the possibility of building a civilization greater and more spiritual than the world has known. That men will choose for life and further progress is Our earnest hope and expectation. That they will awaken to the folly of their present modes of living is Our heartfelt desire. Our task is but to advise and guide; on humanity alone falls the choice of direction. Many may imagine that this choice will be an easy one to make but this could well be otherwise: men fear change above all else and suffer needless pain in its avoidance. Nevertheless, the stringencies of the time will focus their attention on the new priorities and galvanize to action a myriad hearts. Soon, the overwhelming mass of men will recognize the need for drastic transformation and an end to the outmoded institutions of today. Advice and guidance will be man’s for the asking but men must be prepared to change the present modes of living to ensure the planet’s future and the future of their children. The resources of the Earth are finite but with good husbandry and sharing, adequate for the needs of all. Almost imperceptibly, over the last few years, great changes have been taking place in the world which herald a new dawn, a gradual transformation of society and its structures on a scale hitherto unknown. Soon, the first outlines of the new structures will be seen. Before long, there will be set in place the initial ground-plan on which the new civilization will be built. We are all seeking balance. We are seeking unity, equilibrium, however we define it. It is that which allows us to be creative and happy. It allows the wheel to turn again and again, and create out of itself, and again out of itself, that which is created. In that way the civilization of the future will demonstrate qualities we cannot even begin to talk about. We do not have words for what we will see and know. We do not have words for the quality of that civilization. Nor for the feeling, the experience, of that relationship when all people see and experience themselves as brothers and sisters of one home, one planet. That will take people back to the experience of childhood. Home was home. Your brothers and sisters were the staff that kept you on the right track. So it will be. Ours will be the task to oversee the development of the new society along paths that preserve correct balance, and naught that infringes human need will receive Our recommendation. Beauty and sense of fittingness will be the touchstone. All that is ugly, mechanical, and harmful to the human spirit will be eschewed. The aim will be to maintain, in full freedom and harmony, a right relationship between man and his environment; to ensure that every technological and scientific advance is seen as serving better man’s needs and knowing better the nature of Reality…. Occupy Wall Street, the democratic awakening inspired by the Arab Spring, and dubbed by some the “American Autumn”, began on 17 September 2011 with several hundred people from all over the United States who set up base in Zuccotti Park, a privately owned piece of land near the heart of Wall Street in New York City formerly called Liberty Plaza Park. Day after day, night after night, the loosely organized group chanted slogans and waved signs protesting social inequality, bank bailouts and corporate greed. The leaderless group transformed the park into an operations centre and made decisions by consensus in ‘general assembly’ meetings. They called themselves the “99 per cent”, a reference to the percentage of Americans who have suffered while the 1 per cent have grown richer. They received almost no media coverage at first. Then two weeks into their ‘occupation’, with a major surge in the number of people joining the protest and a march across the Brooklyn Bridge in which 700 people were arrested, the media began taking the movement more seriously. As more unions, including transportation workers, teachers and nurses, and community groups became involved, culminating in an October 5th march by thousands of people from the Occupy Wall Street encampment in the financial district to the courthouse in Foley Square, attention was finally paid. With all major television networks reporting and front-page coverage by the New York Times, Occupy Wall Street’s anti-greed message began to be heard. Their official statement outlined many grievances including the perpetuation of inequality, the bailouts of giant banks with taxpayer money, the blockage of alternate forms of energy, the alliance of special interest groups with the politicians regulating them, and the purposeful dissemination of misinformation through the control of the media. Introducing these statements they said: “As we gather together in solidarity to express a feeling of mass injustice, we must not lose sight of what brought us together. We write so that all people who feel wronged by the corporate forces of the world can know that we are your allies. The movement has spread to dozens of cities across the United States. People rallied at City Hall in Los Angeles, outside the Federal Reserve Bank in Chicago, at the JP Morgan Chase bank building in Houston as well as in St Louis, Dallas, Philadelphia, and many other locations. Democratic lawmakers have begun to embrace the Occupy Wall Street protests, with endorsements coming from Representatives from Arizona, Minnesota, Vermont, Ohio, New York and Connecticut. Said one: “The silent masses aren’t so silent anymore. They are fighting to give voice to the struggles that everyday Americans are going through.” Even President Obama said he has been monitoring the protest movement and commented that the protests show a “broad-based frustration” among Americans with the United States financial system.